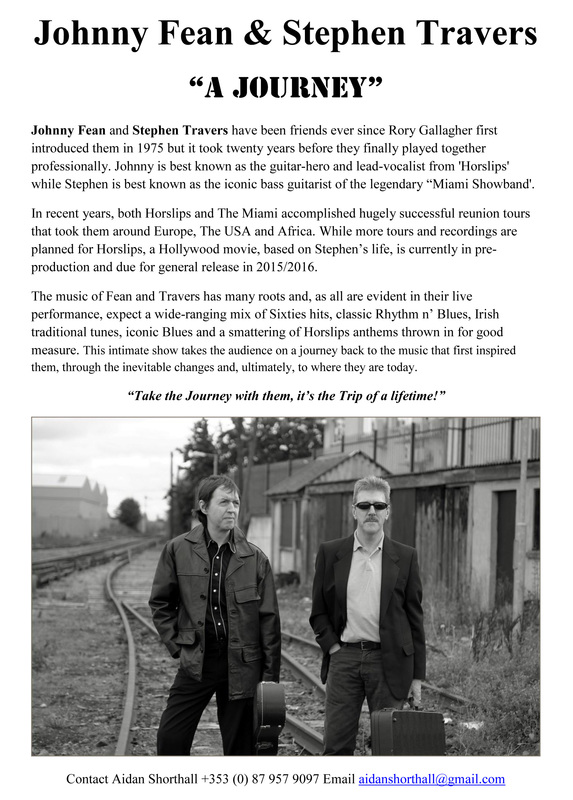 Johnny Fean and Steve Travers have been playing together since 1996. Johnny is known as guitarist/vocalist with 'Horslips' while Irish bass guitarist Steve, is also known for his time with 'The Miami Showband'. The pair were joined in 2007 by Blendi Krasniqi on Drums/Percussion. The duo still play together as Fean & Travers while the trio perform as The Johnny Fean Band. 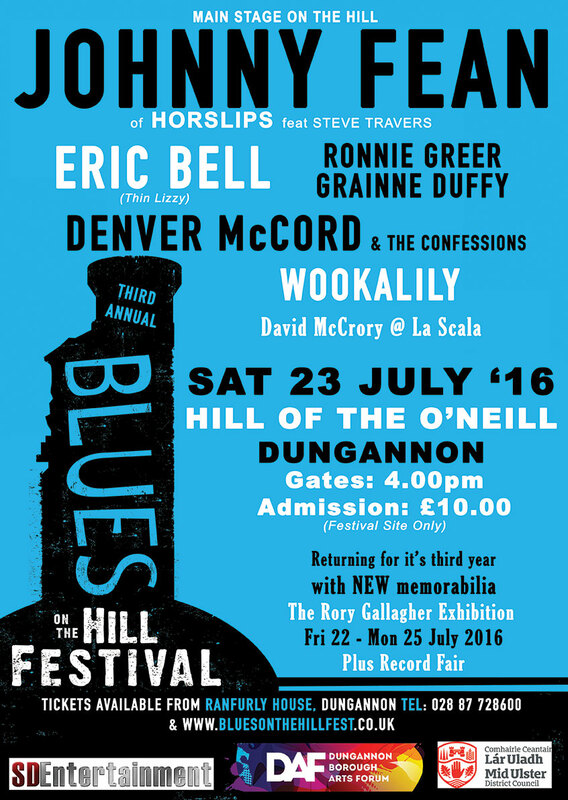 In recent years both The Miami Showband (since 2008) and also Horslips (since 2009) have performed comeback tours. Steve performed on the initial tours with The Miami Showband and Johnny is still found rehearsing and playing with Horslips. 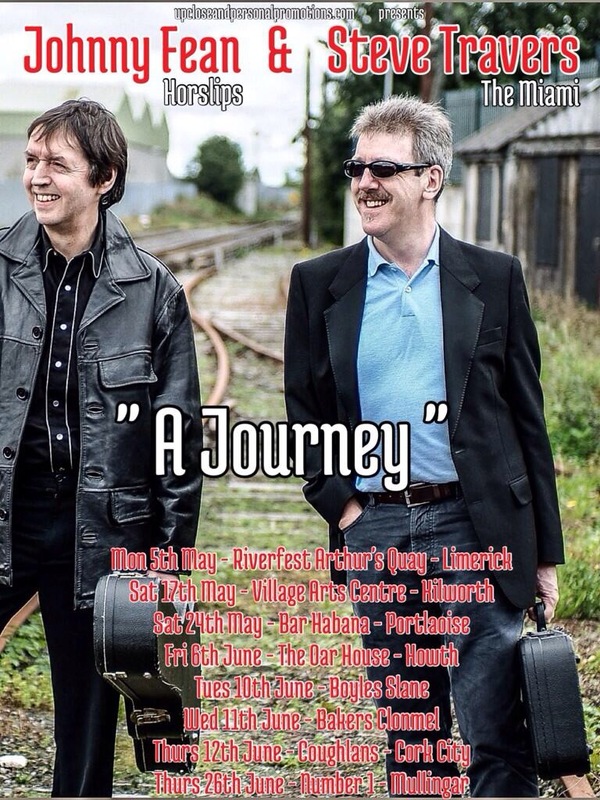 People in the area of Limerick/Clare will also find Johnny playing near his home with Blues Train featuring Johnny Fean. Check News below for updates and the Guestbook for news. Thurs June 12th - Coughlan's, 4 Douglas St., Cork. Johnny and Steve are embarking on a series of gigs in the Duo format. This year 3rd Annual Inishowen Guitar Festival celebrates the playing of the hugely influential Irish guitar legend, Johnny Fean of Horslips. Johnny will be appearing with Paddy Goodwin and The Holy Ghosts whose members on the night will include none other than fellow Horslips members, Jim Lockhart, Charles O’Connor and Barry Devlin. The event is in aid of St Vincent De Paul's Clare Lodge retreat and holiday home for the old and underprivileged. Gig Dates for Dec 2011. 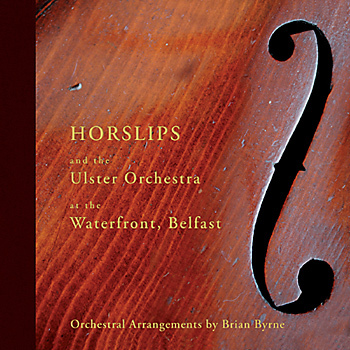 Listen to Johnny Fean on the 2011 CD with Horslips and the Ulster Orchestra . Here's a new link to Regent St Media and the film based on the award-winning book by Stephen Travers and Neil Fetherstonhaugh that took 30 years to write. "The film will recreate the joy of the music scene of the showband era of the mid 1970s; when screaming fans danced on the stage because there was no room on the dance-floor; when massive ballrooms the length and breadth of Ireland, England, Scotland and Wales were packed to the rafters - standing room only! Even the mighty USA fell under the spell of The Miami Showband." live recordings from Johnny with Steve and Blendi. You then need to click "listen back further" to find these dates. - Thur 13th Oct Mandolin Set - 2hours 24 min . version of ''I never talk about her''. This was long before the Last Bandits project in 1985 when we again recorded it".